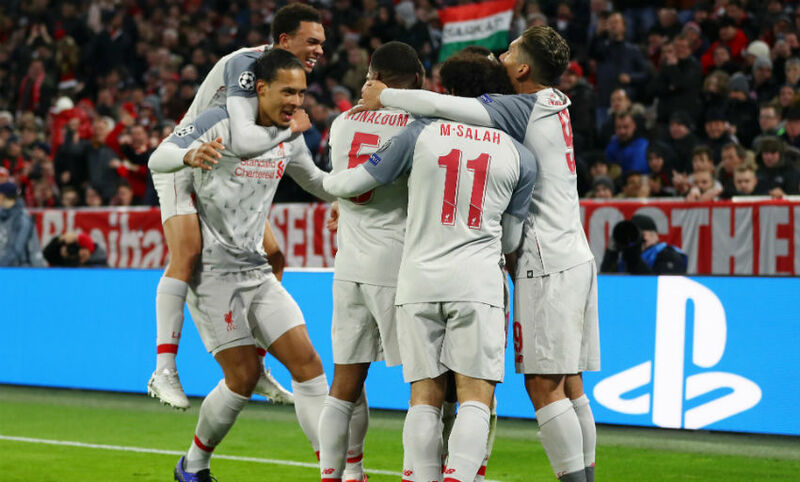 Liverpool surged into the Champions League quarter-finals with a classy 3-1 win over Bayern Munich at the Allianz Arena. Sadio Mane scored in each half, sandwiching a towering header by Virgil van Dijk, to tip a last-16 tie that was in the balance following a goalless first-leg draw at Anfield three weeks ago firmly in the Reds' favour. Joel Matip's own goal meant the sides went in at half-time level following Mane's superb opener. But when Van Dijk's first Champions League strike for the club arrived in the 69th minute, the outcome was all-but assured. 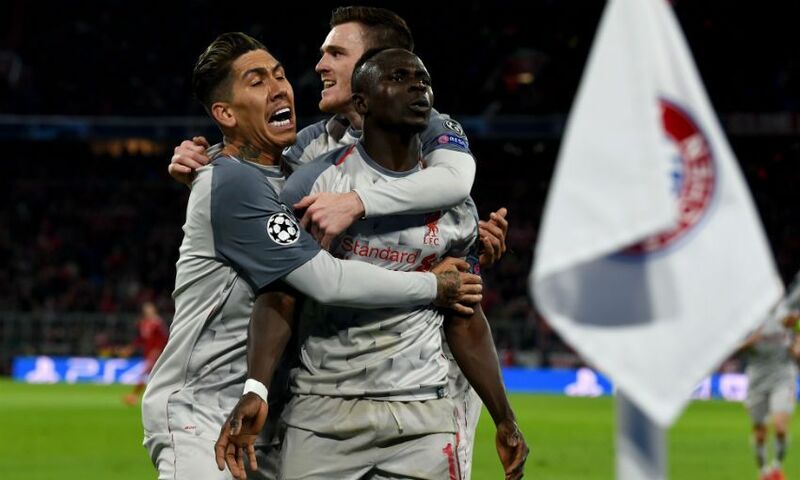 Mane then applied the finishing touch to a European night to savour in the closing stages, with Liverpudlian sights now trained on Friday's draw for the last eight. Jürgen Klopp elected to make two changes to his starting line-up. Jordan Henderson and James Milner were included, with Fabinho and Adam Lallana making way for the skipper and vice-captain. Henderson’s evening lasted just 13 minutes, however, with a twisted ankle forcing the midfielder to be replaced by Fabinho. A cagey opening was perhaps the product of two teams content to feel their way into a still, cold evening in Munich with an element of caution given the stakes and quality of their opponents. The first sight of goal was Bayern's and arrived in the ninth minute courtesy of Roberto Firmino's risky pass across his own goal. Thiago Alcantara read the No.9's intention and curled a first-time shot over the crossbar from 20 yards. Robert Lewandowski's appeals for a penalty following a coming together with Van Dijk in the area were waved away by referee Daniele Orsato, before Henderson - who had earlier received treatment on his ankle - decided he could not continue. With Trent Alexander-Arnold marshalling Franck Ribery - the hosts' favoured attacking outlet in the early stages - well with assistance from Mohamed Salah, Liverpool grew into the game and saw a Firmino snapshot whistle wide of the post just prior to Mane opening the scoring in quite brilliant fashion. Van Dijk arrowed a pass into the in-form forward's vicinity and, after an exquisite first touch, Mane deceived Manuel Neuer and clipped a gloriously cool left-footed finish past the retreating Rafinha and into the net. 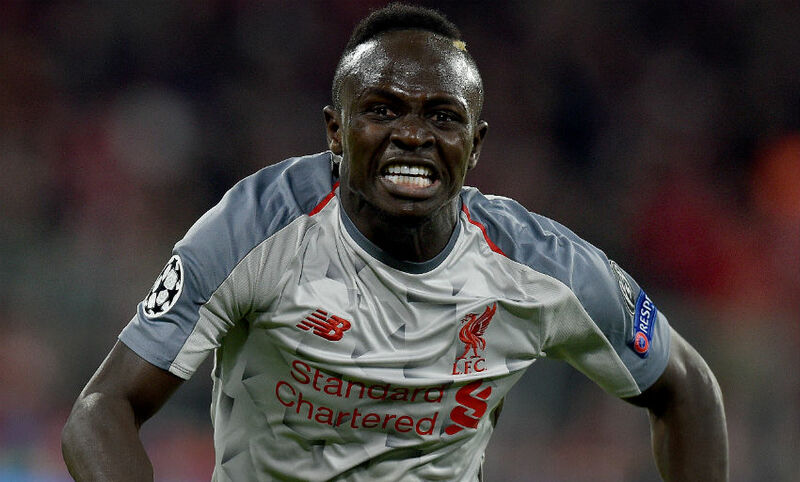 The roar that greeted Mane's moment of inspiration rolled down from the away end up high in the Allianz's opposite corner, its intensity a clear indicator of the strike's significance. All of a sudden, the Reds were the match's protagonists and Neuer had to beat away Andy Robertson's vicious shot at the end of a rapid counter. But Bayern quickly regained their foothold and equalised with six minutes of the half remaining. Serge Gnabry freed himself from Robertson and sent in a low cross from the byline that, with Lewandowski ready to tap into an empty net immediately behind him, Matip had little choice but to deal with. Unfortunately for Liverpool, the centre-back's touch sent the ball into the bottom corner and the home team were level. The Reds' surety was not shaken by that setback, though, and Salah blasted a shot straight at Neuer from distance as the rain began to fall in the early stages of the second period. Alert defending from Matip distracted Lewandowski as the striker attempted to get on the end of another low delivery from Gnabry - and soon after, his defensive partner effectively settled the tie at the other end. 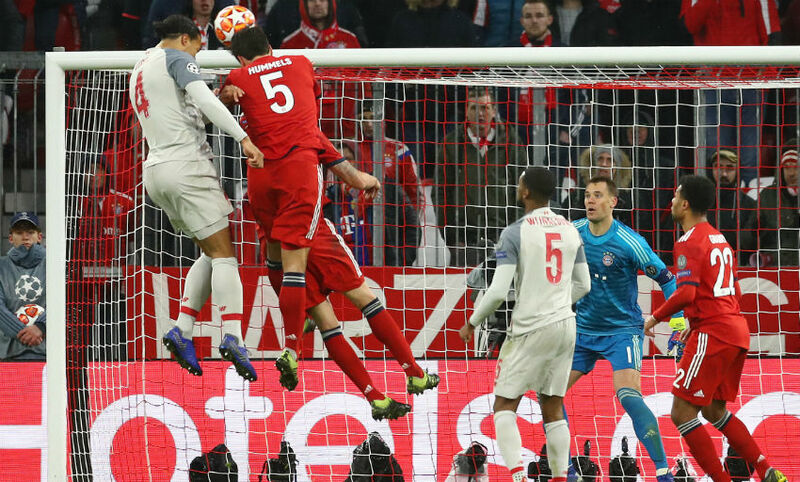 Milner's outswinging corner was on the money and there was Van Dijk, rising above everyone and planting a powerful downward header into Neuer's bottom corner. Bayern then had no option but to commit men forward - and that merely played into Liverpool's hands. With a shade more ruthlessness, the Reds would have scored a third before Mane's 10th goal in his last 10 appearances - a fine, back-post header from Salah's sumptuous cross - but that mattered little as Klopp's side marched on to the last eight in hugely impressive style.